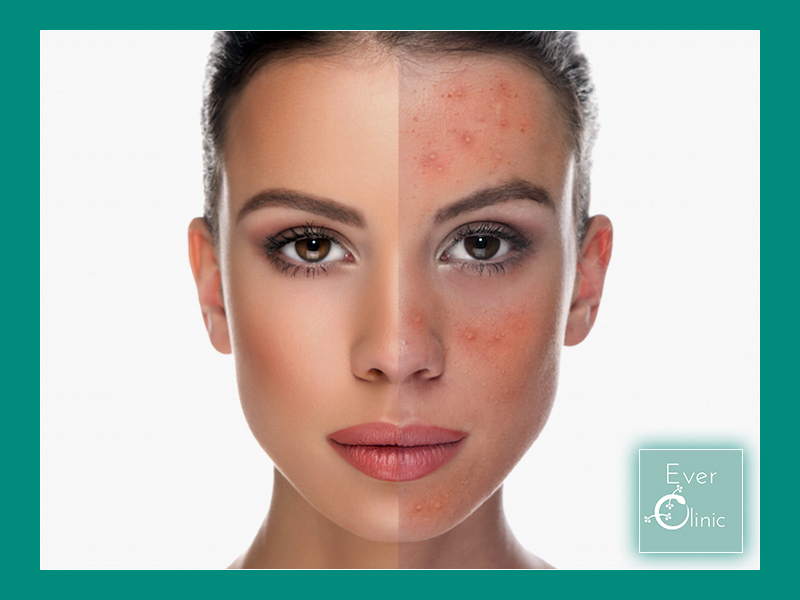 Rosacea is a common skin condition which affects approximately 10% of the population. It is more common in people with fair skin and also more common in females. Symptoms present in various combinations and severity, and there are often periods of remission. Diagnosing the condition is sometimes challenging due to the overlap in appearance with chronically sun-damaged skin, also more common in fair skinned individuals. Ocular rosacea –Rosacea may affect the eyes and eyelids. As well as redness in skin tissue surrounding the eyes, there is also burning or stinging, dryness, light sensitivity, blurred vision, or watery, bloodshot eyes. Creams and gels containing metronidazole, azelaic acid, ivermectin, and brimonidine have a strong evidence base and are approved for rosacea by the US Food and Drug Administration (FDA). They tend to be used in mild to moderate rosacea. A recent study has shown excellent outcomes following a course of Nd:YAG laser for visible vessles associated with rosacea. Severe phymatous disease with deformity responds best to surgery or CO2 laser resurfacing.